Any electronic device be it laptop, tablet, and cell phones emit what is called Radio Frequency Electromagnetic Field (RF EMF) radiation, an unseen form of energy which can cause damaging health effects if left uncontrolled. Common sense dictates that this is especially true for children, whose brains are fragile and still developing. Indeed, in this case, the science matches common sense. The term, radiation means the emission or transmission of energy in the form of waves or particles through space or through a material medium. Other forms of non-ionizing radiation include microwave, radio waves and visible light. 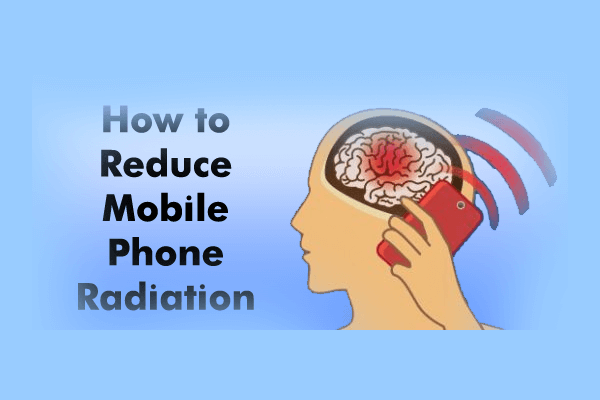 We cannot avoid those types of radiation and most of us cannot avoid mobile phone radiation. This is a type of radiation that we are exposed to daily. Text instead of talk. This pings the cell phone towers for seconds rather than minutes and minimizes your radiation exposure. 9. Keep your cell phone far away from you while you are sleeping or do not using your cell phone in sleepy mood. There is no reason for it to be close to you if you aren’t using it unless you’re expecting a call – especially if you keep it on sound, not vibrate. Very few studies have been conducted around the world on RF radiation exposure to children. To date, the general consensus is that epidemiological data has not been able to definitively prove that brain tumors and leukemia in children occurs from RF EMF exposure, although information is beginning emerge. However, some speculate that this disconnect, or large knowledge gap exists from lack of funding in this study area. Unfortunately, the evidence that has been produced, is often dismissed as scant. On the other hand, the World Health Organization (WHO) recognizes that RF EMF research, especially in relation to children, should be given priority, because of their belief that there is a lack of information in this critical area. In Australia, several studies have investigated the effect of cell phone radiation exposure on cognitive function of adults. In 2010, this lead to the investigation on children and adolescents as their developing nervous systems were considered of special interest. Over 200 students were assessed by two tests, one at the beginning of the year and one at the end. Some changes in cognitive function associated with increased RF EMF cell phone radiation exposure were observed. The changes were unfortunately dismissed as statistically insignificant. The problem with this study was however, that the test population (statistic sample) was much too small and study scope too limited to draw such conclusions. In a 2010 study conducted in Germany, researchers studied over 3000 children randomly selected from the population of four cities in the South of Bavaria. Interview data was taken on the participants’ mental health, socio-demographic characteristics and other points of interest. Using a personal dosimeter, the test subjects were assessed for RF EMF exposure over the course of 24 hours. In total, 7% of the children and 5% of the adolescences showed abnormal mental behavior. Using multiple logistic regression analyses, it was determined that measured exposure to RF fields in the highest quartile was associated to overall behavioral problems in adolescents.